For as long as I can remember grey hair has always been TABOO for us women. We have spent countless hours and money hiding the fact that we are ageing and grey hair has always been one of those things that we hide. I remember the day I found my first grey hair and how old I was (June 28th @ 28 yrs. old), I was shocked and devastated because I thought it was all downhill from here. I need to now send out a big Thank you to Rihanna, Kelly Osbourne, Dascha Polanco and a few others for making silver/grey hair trendy in a new way! 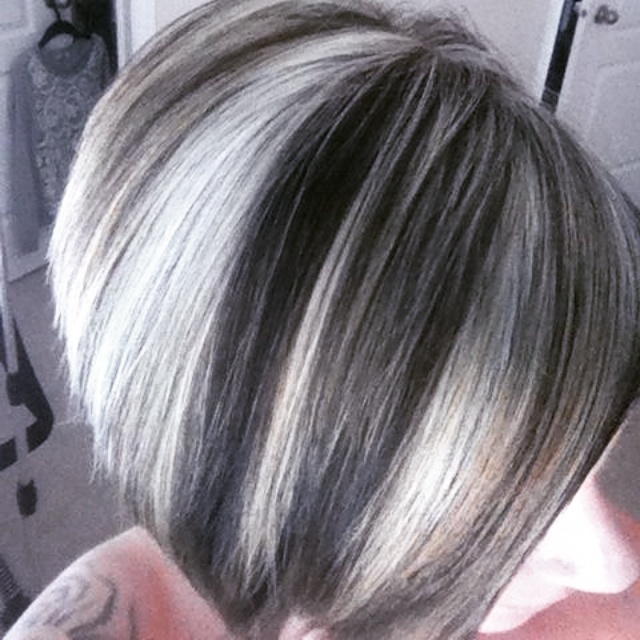 They have created this new era of grey hair being cool, sophisticated and fun for women to wear. 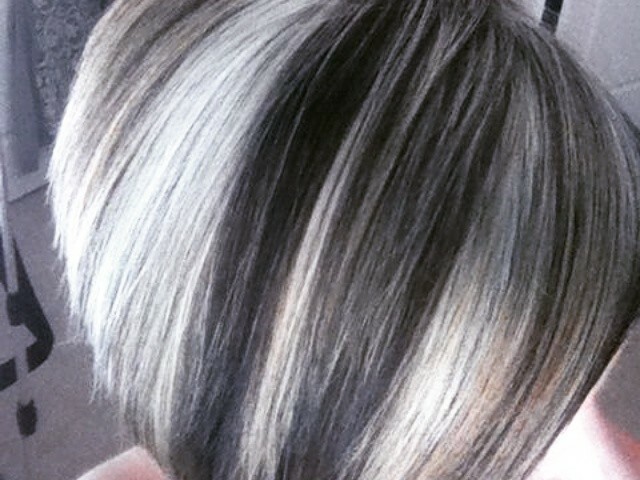 I don’t know if this will stick around forever but because I have a partially shaved head, I am proudly going to show off my silver glistening hair on that side J the picture with this blog is of a client with blonde highlights that we toned with a special concoction formula to achieve the silver/grey trend. Interested?? Just give us a quick call or email. Cheers!